- AWA SuperClash II (May 2, '87) = Kevin Kelly, Doug Sommers, & Buddy Wolfe lost to Ray Stevens & the Midnight Rockers. - WWF Summerslam '92 (August 29) = Nailz defeated Virgil. 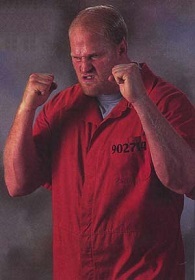 - WWF Survivor Series '92 (November 25) = Nailz lost a "Nightstick On A Pole" Match to the Big Boss Man. - NWA Grand Slam (April 17, '93) = Nailz & the Hater were beaten by Charlie Norris & Masa Saito. - WCW Slamboree '93 (May 23) = The Prisoner fell to Sting. - NJPW Sumo Hall (August 3, '94) = Nailz was pinned by El Gigante. - NJPW Super Grade Tag League IV (October '94) = Nailz & Ron Simmons competed in the league, which was won by Hiro Hase & Keiji Mutoh. - AWF Heavyweight Title Tournament (November '94) = Nailz lost in the first round to Koko B. Ware. Tito Santana won the tournament. 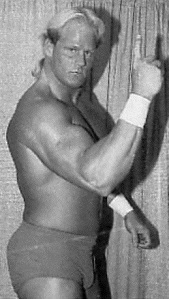 - AWF Tag-Team Title Tournament (May '95) = Nailz & the Executioner competed in the tournament, which was won by Tommy Rich & Greg Valentine.